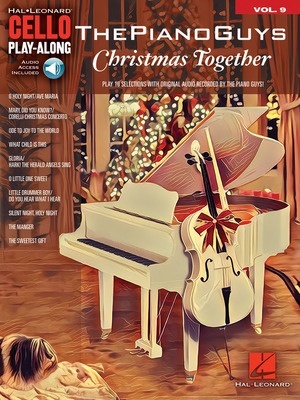 This volume lets you play along with ten selections from the Piano Guys' 2017 holiday album: O Holy Night/Ave Maria • Mary, Did You Know?/Corelli Christmas Concerto • Ode to Joy to the World • What Child Is This • Gloria!/Hark! the Herald Angels Sing • O Little One Sweet • The Little Drummer Boy/Do You Hear What I Hear • Silent Night • The Manger • The Sweetest Gift. The recorded tracks feature audio played by the Piano Guys!